About Property Management specialises in property management services and is looking for more investment properties in Morningside and surrounding suburbs. Our boutique family run agency has a personable approach and we can guarantee next level service. Morningside is a suburb of Brisbane, Queensland, Australia. 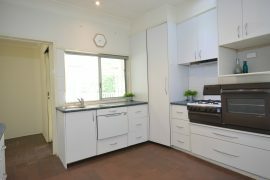 It is located 5 kilometres east of the CBD, and borders Cannon Hill, Norman Park, and Hawthorne. At the time of the 2011 Census 47.8% of occupied dwellings in Morningside were detached houses, and 29.2% were semi-detached houses, while units accounted for a further 22.9%. There are many older-style weatherboard and chamferboard homes in this area as well as modern units and townhouses. Morningside was named after a local estate belonging to David Longlands. The name of the estate itself likely referred either to the Scottish town, or to the estate’s location on the eastern side of Brisbane. The 2011 Census recorded 9,399 residents in Morningside, of whom 50.8% were female and 49.2% were male. The median age of the population was 32; 5 years younger than the Australian average. 71.3% of people living in Morningside were born in Australia, with the next most common countries of birth being New Zealand (4.8%), England (4%), India (1.4%), South Africa (1.1%), and South Korea (1%). 84.6% of people spoke English as their first language, while the other most common responses were Spanish (0.9%), Korean (0.8%), Mandarin (0.8%), German (0.6%), and Cantonese (0.6%). 45.7% of households in Morningside consisted of couples without children, 34.8% consisted of couples with children, and 15.5% were made up of single-parent families.